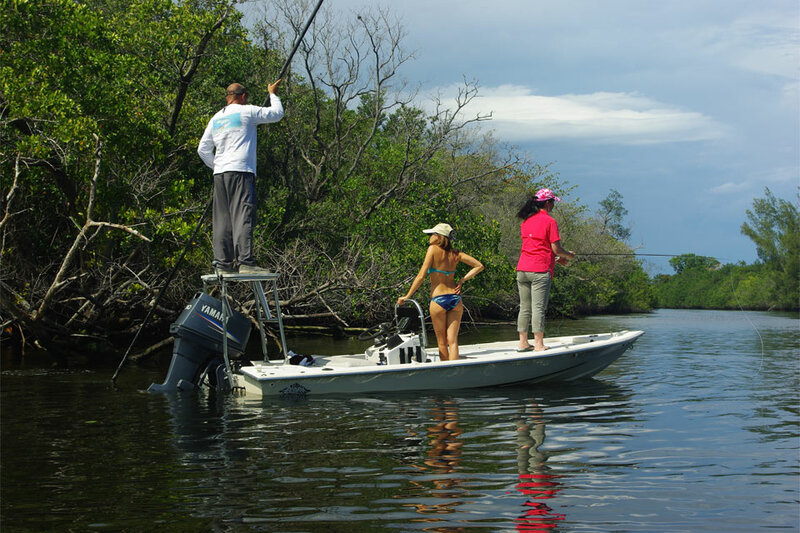 Summertime fishing in Florida is here! The water is hot and the levels are rising. This is great for Peacock Bass and Snakeheads. Early morning and evening is best. The panfish are showing signs of getting ready to spawn. The large bass are moving up out of the canals and into the flats with an awesome bite just before sundown. The frogs are not too thick yet but plenty for gigging. Bonefish and Tarpon are appearing every morning just after sunrise on the beautiful flats of Biscayne. Fishing diminishes as the heat of the day builds. Not a problem, the sharks are plentiful all times of day and the Sea Trout will bite as well. The offshore bite has been consistant with catches of nice schoolie Dolphin, Blackfin Tuna, and occassional Wahoo. Deep dropping has produced some nice Tile fish and Rosy Rockfish. Sailfish and Kingfish can be found if targeted. So book a trip with VIP Fishing charters and feel free to ask to speak with me personally! Captain Jason "JP" Peters is an expert fishing captain, specializing in light tackle freshwater and saltwater fishing. A former commercial crab fishermen and avid outdoorsmen, Captain JP offers a unique perspective and one of a kind experience on his trips.